We provide speakers on topics of multiracial diversity. We know many people learn by doing and from each other. MASC past clients have included Pomona College Student Mentor training, etc. 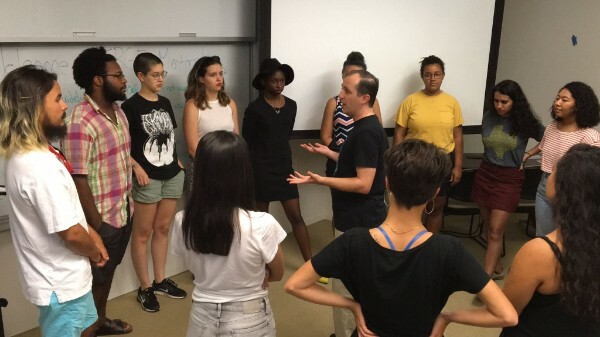 The Claremont Colleges have a wonderful peer mentoring program between new and returning students of color. Recently, a mentoring group was established for mixed race students. As part of the mentor training program, on August 24, MASC was invited to present “Navigating Multiracial Identity” by MASC board member Jennifer Noble, PhD, and “A Multiracial Perspective on the Census” by MASC President Thomas Lopez. The students were very engaged, often anticipating with their questions what was to be presented next. Way to go Pomona College for being so “woke” regarding the multiracial community! Thomas has been a member of MASC for over fifteen years and past president of the organization. He has made numerous television, print, and on-line media appearances and speaking engagements as a keynote and panelist. As a long-time board member he has also organized conferences, a mini-film festival, and diversity training workshops. He has spoken and written extensively on issues of national advocacy including the Census and multiracial civil rights. Visit our YouTube channel to hear samples of his speaking appearances. Apart from MASC, Thomas is a mechanical engineer having worked in multiple industries the most recent being medical devices. He was born and raised in Southern California with parents from Mexican American and German-Polish roots. Nancy is a first generation American, born in New York City and raised in New Jersey, and is of German-Jewish heritage. Nancy is a clinical nurse specialist in mental health, having received her B.S. in nursing from Boston University in 1975, and her M.S. in Psychiatric Nursing/Community Consultation from UCLA in 1980. Nancy currently works as a therapist at the Kaiser Department of Psychiatry in West Los Angeles. From her interracial marriage, Nancy has two adult multiracial daughters of African American and European-American descent. She co-founded and became president of MASC in 1987 and remained president for 7 years. MASC was also one of the founding organizations of the Association of MultiEthnic Americans (AMEA) in 1988. She held the position of Western Regional Vice-President since 1994. She was elected President of AMEA in May, 2001, and under her leadership AMEA held their first National Conference on the Multiracial Child in October, 2002. Nancy has been a co-author in two books; The Multiracial Experience by Maria P.P. Root (1996) and New Faces in a Changing America Edited by Loretta Winters and Herman DeBose (2003). Over the years Nancy has been a spokesperson for the Multiracial community on TV, radio and print. She continues to speak on topics such as Interracial and Interfaith Marriage, Parenting Multiracial Children, History of the Multiracial Movement, White Privilege and forming a nonprofit community organization. Laurel Hoa received her PhD in Human Development with a specialization in Developmental Sciences from the University of Maryland, College Park. Her dissertation was on identity development in individuals of Asian and European descent. Her areas of research have included parental, peer, and environmental influences on identity development in multiracial individuals. She has spoken on topics including how to talk to your children about race, confronting White privilege, helping parents foster positive racial identity in their multiracial or transracially adopted children. She is passionate about anti-racism work, particularly educating on White privilege, White fragility, and how to be an anti-racism ally. 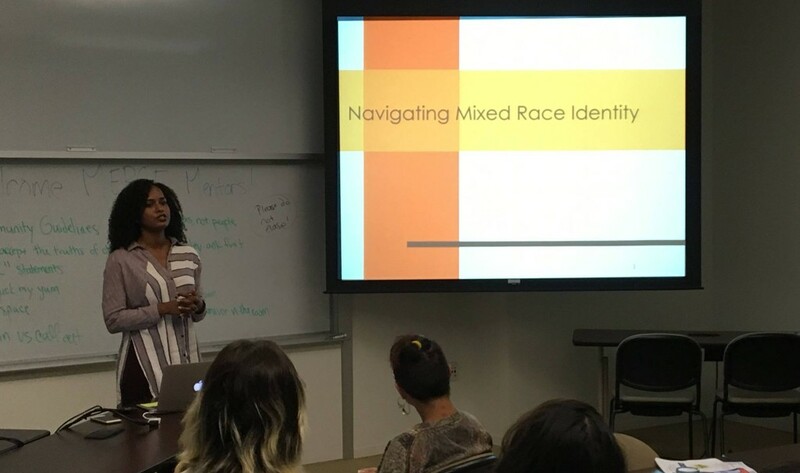 In addition to teaching at the college level, Laurel was an instructor for MASC’s grant funded high school course on mixed race studies, the first such class of its kind. She is of diverse European ancestry including English, German, and Scottish. She currently lives in Maryland with her husband, who is Chinese American, and their two children.